Need a little help booking your online DSA Theory Test, or browsing our shop for learning material? Are You Ready? Book Theory Test Today.Book your theory test in a matter of minutes when you fill out our quick and easy booking form. Simply enter your personal details, test details and confirm your booking before making an online payment. Whether you are looking to book theory test for cars, motorcycles or larger vehicles; you can do it instantly with our straight-forward theory test booking form. Please ensure that you enter all required information correctly. Ensure that your Contact Number, Postal Address & Email Address are correct, as we will use this information to send confirmation of your test booking within 2 working days. 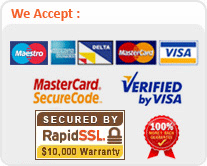 We are verified by visa and mastercard securecode to ensure your transaction is safe and secure.